Three horses pause to graze in a beautiful meadow, in the distance is farmland and mountains. 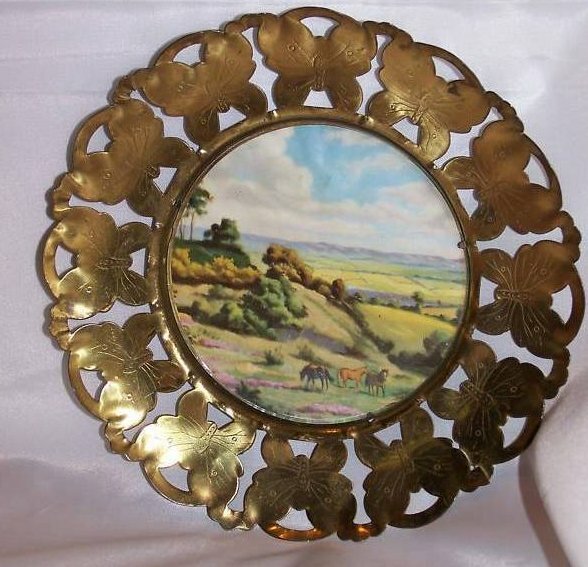 A peaceful scene that is perfect for a horse lover or collector of unique vintage pieces. 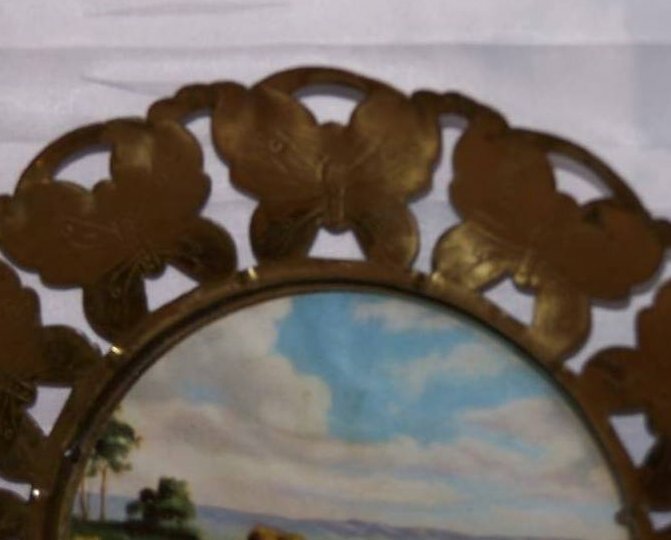 The center picture is covered with a circular pane of glass and sits in a brass stamped frame that features linked, detailed butterflies around the outer edge. 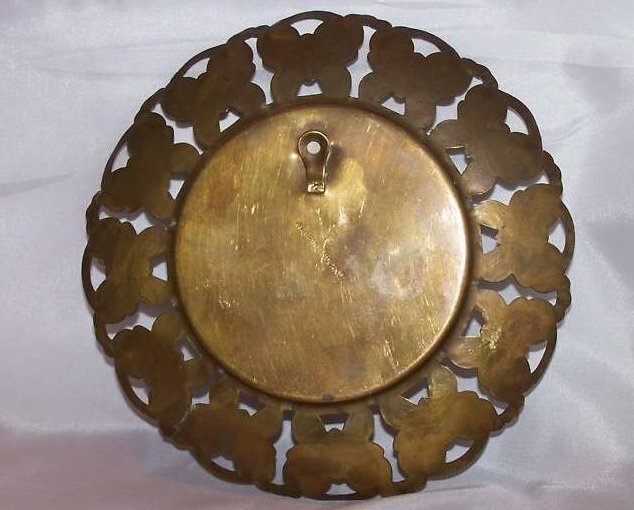 A great piece to own and enjoy!